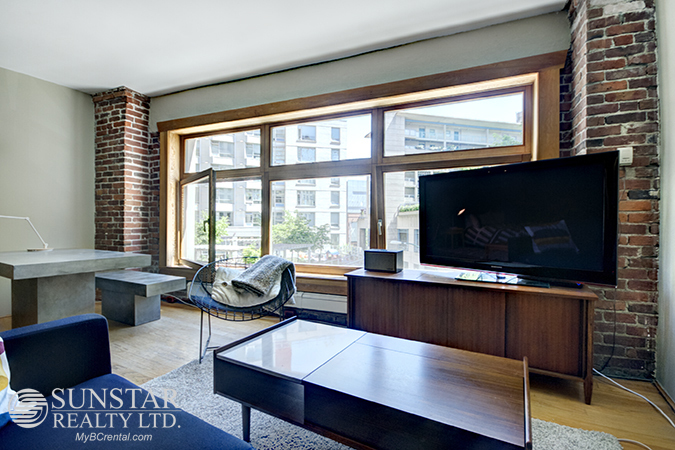 Gastown Loft w/ Exposed Beams & Fir Plank Flooring @ Studio 518 - $2890 — Lynn Swanson At a glance guide to all currently available fully furnished properties managed or represented by Sunstar Realty Ltd. Included items: gas, electric, basic cable and high speed wireless internet; light housekeeping twice per month. Not included: additional cleaning & move-out clean. 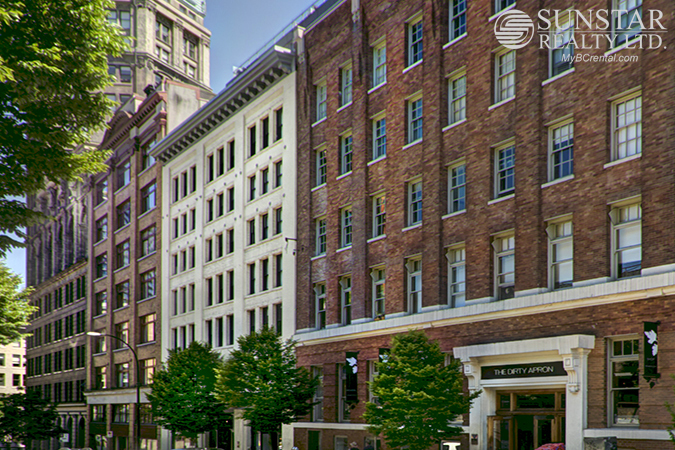 LOCATION: Studio 518 is located in Downtown Vancouver in the Gastown area at Beatty St and Dunsmuir. Skytrain is on this block. Ideally located loft is walking distance to so many amenities and dining options, Beatty Street is host to a few of the hottest, Chambar Restaurant, Jam (hot Brunch spot), the Dirty Apron (take out) and Costco. A short walk to all Gastown hot spots. Yaletown, downtown 5-10 minute on foot/bike. Bus available on either Dunsmuir or Pender. FEATURES: Enjoy a chic lifestyle at this historic heritage warehouse conversion. Originally built in 1911 and converted to 'New York style' lofts, this studio loft has beautiful real fir hardwood floors and exposed fir beams. 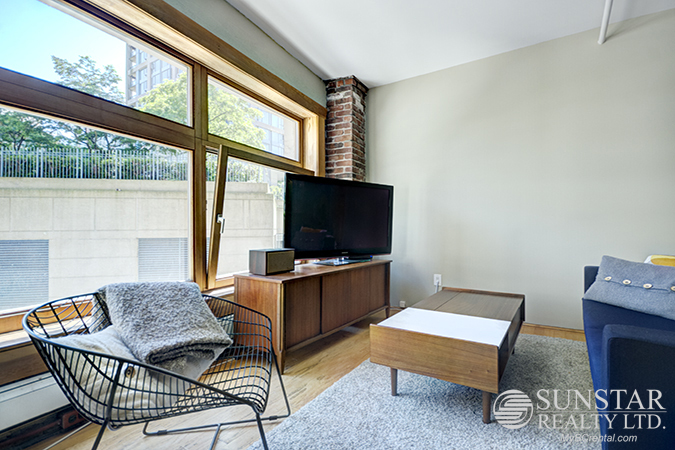 Bright and open with 10.5ft ceilings, and huge tilt + turn wooden European windows. Other features include all the hallmarks of a classic loft like exposed brick, insuite laundry, and built in pantry/closets. The kitchen is beautifully appointed with generous wood cabinetry, stainless steel appliances, large granite counters, deep sink with detachable faucet and spray arm, Port & Charles oven, 4 burner induction cooktop, and LG fridge/freezer. Furnished stylishly throughout, with a Queen sized bed, modern sofa, dining table for 6, flat screen TV, mid century accessory pieces, halogen lighting and Crosley sound system. Parking may be purchased in the building across the lane.